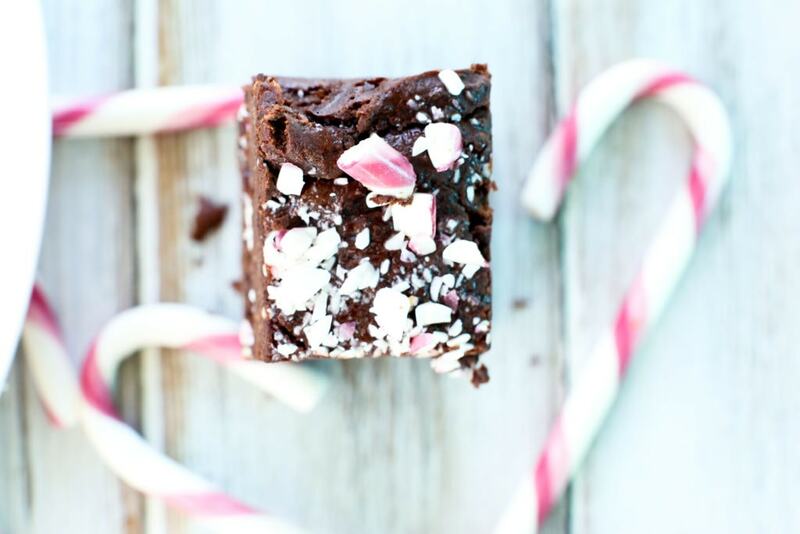 These Peppermint Brownies were on the counter after I was finished photographing them, and my husband Tim inhaled four quicker than I could ever eat one. Not much can get between that man and his brownies. I wasn’t going to tell him that it was the same ingredients he saw on the counter the day before and said, “Ugh. Black beans and cashews. My favorite.” in his most sarcastic voice. I definitely could have thrown an “I told you so” in his face, but instead I just smiled and didn’t tell him the two ingredients he supposedly hates were what was inside the brownies he was loving. 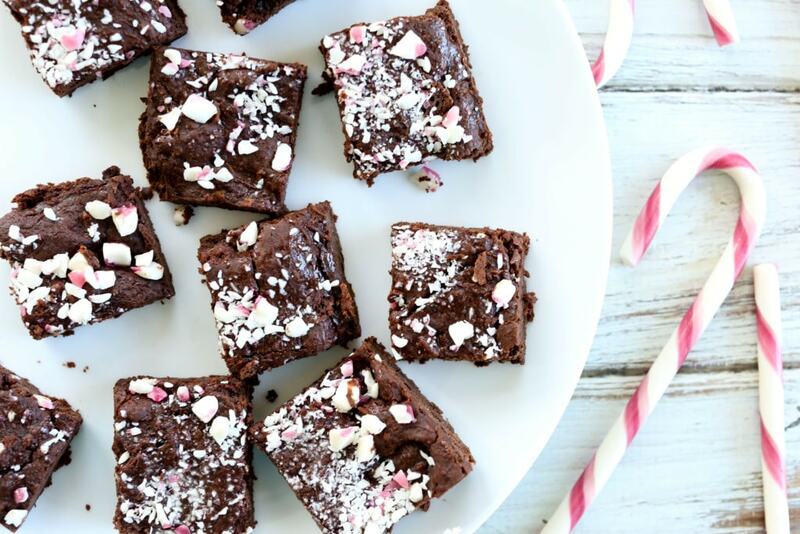 These Peppermint Brownies are both vegan and gluten-free. They are made without any flour or grains at all, actually. They just have seven simple ingredients and are probably one of the most nourishing brownies you’ll ever make. Unless, of course, you make these or these or these. I think it’s safe to say I love brownies and really love creating healthy brownies. 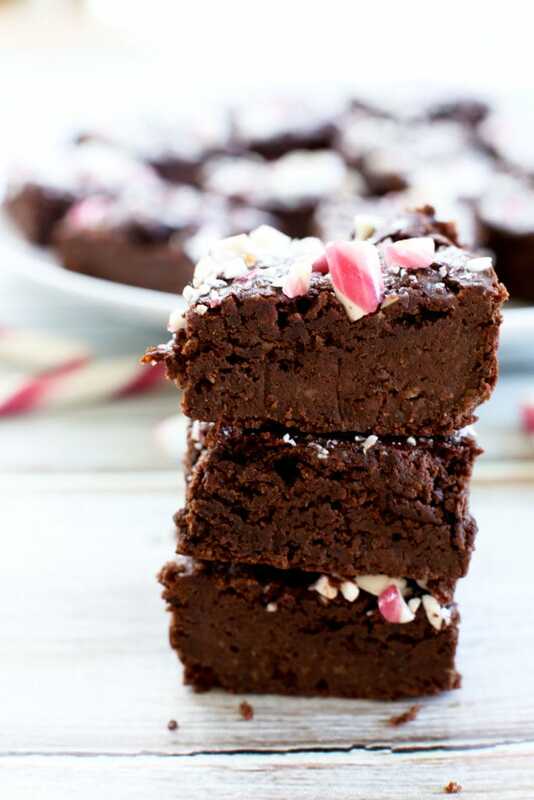 These particular brownies, because they are made with cashews and black beans instead of flour, have double the protein and fiber of regular brownies. You’ll never notice that little healthy aspect of these brownies but you should know about it. 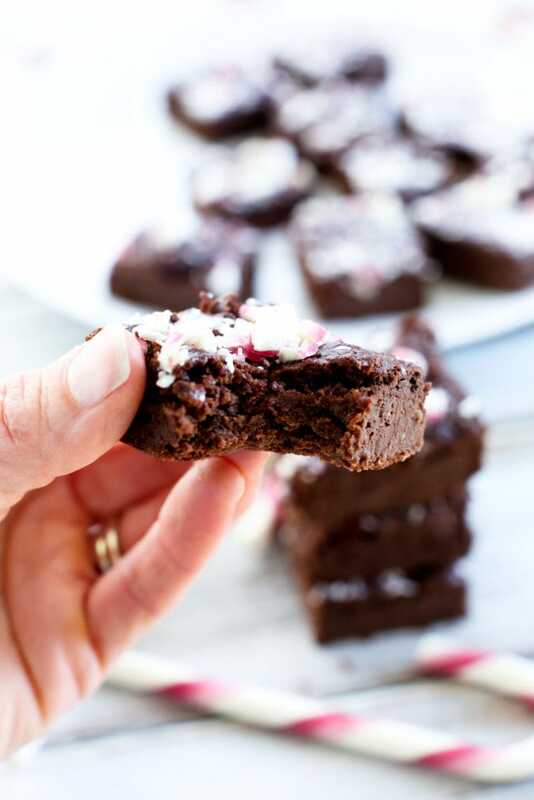 I love when I can create a healthy treat like these vegan and gluten-free Peppermint Brownies that you can enjoy over the holidays when un-healthy treats are the norm. It’s okay to have some beans with your brownies. Trust me, you won’t know they’re there. But the extra nutrients you’re giving your body? A good thing. A very good thing. 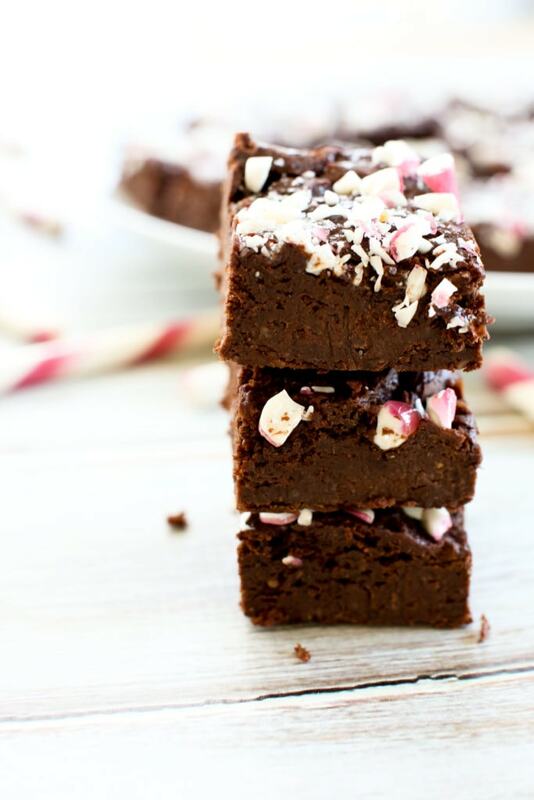 These Peppermint Brownies are vegan, gluten-free, and the perfect mix of fudgy and cakey! NO ONE will guess they are made with black beans, cashews, and are naturally sweetened! Line an 8X8 inch baking dish with parchment paper; set aside. In a large food processor, process the cashews until they are a fine crumb. Add the beans and process very well, until the two are totally mixed and there are very few lumps. Add the rest of the ingredients, except the chocolate chips, and process until mixed. Transfer the batter to the baking pan and bake in the prepared oven for 20 minutes, or until a toothpick inserted into the center comes out clean. Remove from oven and allow to cool completely before pulling the brownies from the pan and cutting. I like these best chilled in the fridge overnight, but that’s optional. 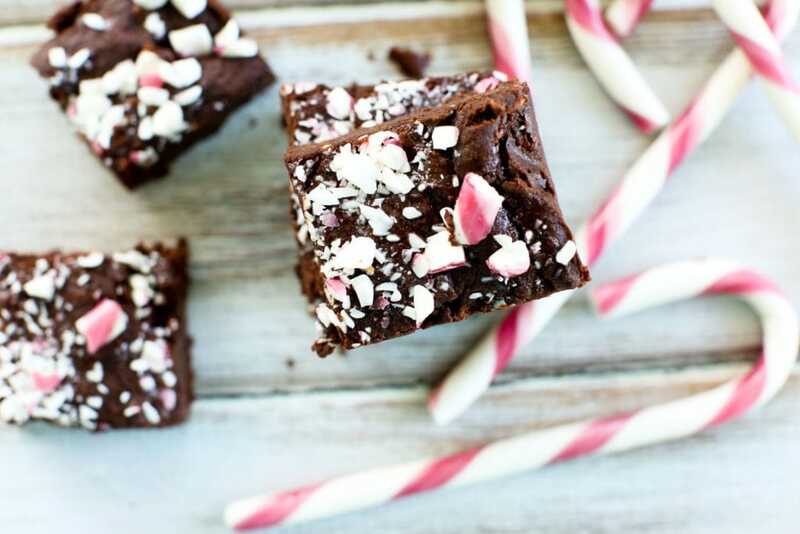 Top with the crushed candy canes, if using, and serve. If you need a diabetic friendly recipe, try these Keto Brownies! These were so easy to make and delicious! Thank you for sharing!! These look so yummy! Have you tried freezing these? Wondering if I can feature this in a holiday baking roundup for my clients on my blog (link/photo credit back to you of course!) 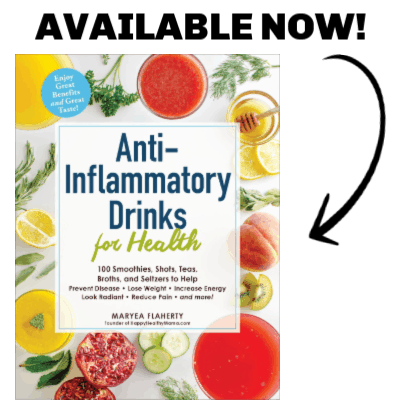 – let me know, I think my clients would love these. Hi Laura–Glad you found me, too. 🙂 Yes, you may use this for your roundup. Thanks for asking! Hi Maryea! I’m Alexis Jospeh of Hummusapien’s blog sidekick and I wanted to let you know that I made three batches of these delicious thangs over the few days leading up to Christmas. I had a couple holiday parties to go to and after bringing them to the first one I had to immediately make a double batch when I got home for the next day. YUM. Hi Kendall! 🙂 I’m so glad to hear that. Thanks for letting me know they were a hit!